By David Phillips – The caller ID indicated that Richard Holbrooke was on the phone. Curious, I thought. Holbrooke was in Belgrade with Slobodan Milosevic negotiating the withdrawal of Serbian forces from Kosovo. Holbrooke was on the tarmac in Belgrade. Negotiations had broken down and NATO would start bombing the next day. My heart pounded. After ten years advocating action against Milosevic’s tyranny, it had come to this. The United States was finally backing diplomacy with a credible threat of force. Holbrooke wanted me to have Albanian-Americans alert their relatives. He knew that Serbian intelligence would be monitoring the calls. Instead of flying back to the US, Holbrooke went to Budapest. He called Milosevic the next morning, offering a last chance. Milosevic sneered: “America will never go to war to protect Shiptars [a derogatory term for Albanians]”. NATO started bombing the next afternoon, on March 24, 1999. The air campaign lasted 78 days until Milosevic surrendered. I was proud of America for going to war to stop the genocide in Kosovo. This week is the 20-year anniversary of NATO’s intervention. Kosovo is free and independent. That can’t be reversed. However, only 116 countries have recognised Kosovo. When Kosovo declared independence in 2008, Serbia launched a diplomatic campaign to impede Kosovo’s international recognition. It still refuses to accept that Kosovo was lost as a result of Milosevic’s crimes. Aleksandar Vucic, Milosevic’s chief propagandist and Serbia’s current president, is in denial. He insists that Kosovo is still a province of Serbia. The Kosovo-Serbia Dialogue was launched in 2011. It was promising at first. However, not much was accomplished beyond agreements on license plates, area codes, and border management. Other agreements were stonewalled by Serbia. The dialogue became a fiasco. The two sides have not even agreed on the meaning of ‘normalisation’. Serbia refers to the government of Kosovo as the “provisional authorities of Kosovo and Metohija”. While Serbian officials feign amity at the table in Brussels, they work to undermine Kosovo’s efforts to gain greater global recognition. Supported by Russia, Serbia actively discourages countries to establish relations with Kosovo. It campaigns against Kosovo’s membership in international organisations such as UNESCO and INTERPOL. It even tries to persuade countries that have recognised Kosovo to withdraw their recognition. There were no new recognitions last year. Despite efforts by Kosovo’s foreign minister, countries are waiting for the dialogue to result in an agreement before committing themselves. Kosovo’s President, Hashim Thaci, has proposed border adjustment in exchange for recognition. Most Kosovars oppose partition. The debate has been a huge distraction. Instead of negotiating with Serbia, Kosovo politicians are arguing with one another. 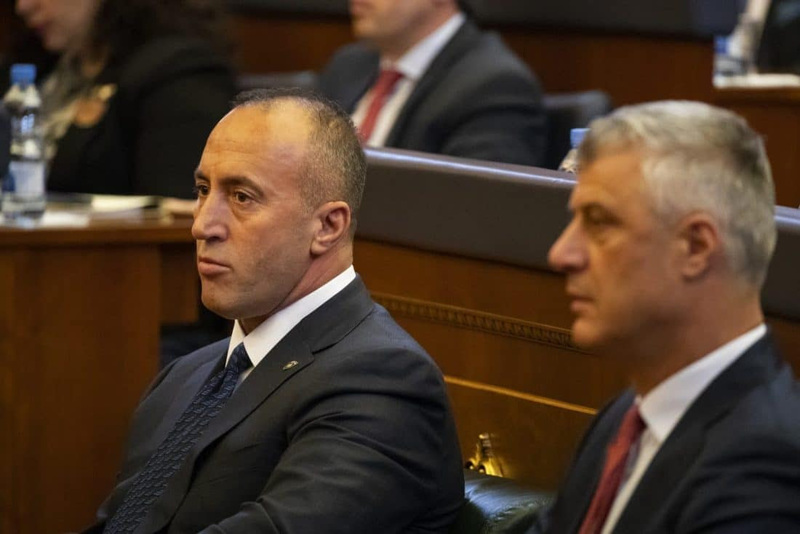 Kosovo Prime Minister Ramush Haradinaj and President Hashim Thaci parliament, 2018. Photo: VALDRIN XHEMAJ. The partition plan is ill-conceived. Border adjustment gives away land for nothing. Vucic cannot deliver a parliamentary majority to change Serbia’s constitution and recognise Kosovo. He cannot compel the EU non-recognisers, especially Spain, to shift course. There is no guarantee that Russia will lift its veto so that Kosovo can become a member state of the UN. Moreover, Vucic is playing a long game. He hopes the international community will lose interest, abandon Kosovo, and welcome Serbia into the EU. He wants Brussels to lift Chapter 35, which conditions Serbia’s EU membership on normalisation of relations with Kosovo. Delay and disinformation are working for Vucic. Serbia uses the tariff as an excuse to boycott the dialogue, which is dormant until the European elections in May and selection of new commissioners in the autumn. The tariffs are a wedge issue, which has divided Kosovo from the United States. Instead of pressuring Serbia to recognise Kosovo within its current borders, the Trump administration blames Kosovo for scuttling negotiations by imposing a 100-per-cent tariff on Serbian goods. It fails to acknowledge that the tariffs were imposed in response to heavy-handed tactics by Serbia at the INTERPOL meeting last December when Kosovo’s membership was rejected. Serbia’s insidious agenda includes manipulating Kosovo Serbs. Its efforts to undermine a shared society is an attack on Kosovo’s state-building. Serbia genuinely cares little for Kosovo Serbs. Vucic simply wants to fulfill Milosevic’s project of annexing Serb-populated territories in Kosovo and Bosnia, thereby establishing a ‘Greater Serbia’. Serbia is seeking to discredit Kosovo in the eyes of the international community and compromise its legitimacy. The uncertainty is taking its toll on Kosovo’s economy. Its unemployment rate is the highest in the region. In the absence of legal status, foreign direct investment has eroded. The Special Court meanwhile hangs like the sword of Damocles over Thaci’s head. 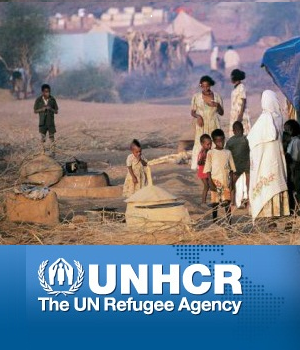 Prosecutors have been conducting many interviews regarding alleged war crimes. Could Thaci’s pro-Serbian stance be a deal with Vucic to withhold information from the Special Court in exchange for a territorial concession that is advantageous to Serbia? We did not envision such challenges when NATO intervened 20 years ago. The West should come together in support of Kosovo as a sovereign, multi-ethnic state. We learned from the 1990s that territorial integrity is critical to peace and stability in the Balkans. It is also high time for Kosovars to demand change. If the people of Kosovo don’t do it, the Special Court probably will. David Phillips is Director of the Program on Peace-building and Rights at Columbia University. He served as Senior Adviser to the US Department of State under Presidents Clinton, Bush, and Obama. He is the author of ‘Liberating Kosovo: Coercive Diplomacy and US Intervention’, published by Harvard’s Kennedy School.